San Diego-based SGB, the agricultural biotech previously known as SG Biofuels, says today it has raised $11 million in a Series C round of financing that will be used to drive its revised commercialization strategy. Existing investors, including Thomas, McNerney & Partners, Finistere Ventures, and Flint Hills Resources (a refining subsidiary of Koch Industries) participated in the round, which brings total venture funding for SGB to almost $38 million. The company was founded in 2006 as Super Green Biofuels to advance the Jatropha plant as a sustainable energy crop. The idea was to produce high-quality crude oil (for transportation fuels) at low cost, using elite cultivars and biotechnology to maximize the amount of oil that could be extracted from the walnut-size seeds of Jatropha, a hardy, non-edible bush native to Central America. 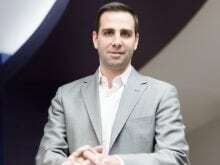 A strategic restructuring and job cuts preceded the infusion of fresh capital, according to Miguel Motta, who joined SGB in 2010 and was named chief operating officer in 2012. Kirk Haney, who oversaw the company’s initial strategy, stepped down as CEO several months ago, but has kept his seat on SGB’s board. Concurrent with the Series C funding, the board named Arama Kukutai, a managing director at San Diego’s Finistere Ventures, as executive chairman and appointed Motta president and COO. In April 2013, Haney told me the company had the full-time equivalent of 57 employees. That number is now about 45, Motta says. “The key reason why the capital raise was successful is because of the tremendous progress we’ve been making with the technology,” Motta says. 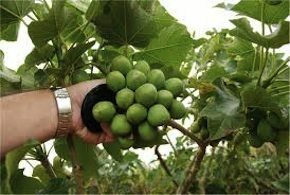 Over the past five to seven years, SGB has developed Jatropha strains capable of producing 300 gallons of oil per acre in the first year after planting. Initially, production was about 40 to 60 gallons per acre after four or five years, Motta says. As part of its revised strategy, though, SGB has moved to diversify its market opportunities. For example, Motta says SGB now sees Jatropha not only as an oil seed product for energy, but as a source for specialty chemicals, for protein in animal feed and certain non-food applications, and as biomass that can be burned to generate electricity. The company also has moved to operate more efficiently, chiefly by focusing on its existing production and field trial activities in Central America and India. Motta says the company also is in discussions to expand into Southeast Asia. SGB no longer operates a 42,000-square-foot greenhouse in San Diego, and SGB research and development is now focused in Guatemala, Motta says. The company’s headquarters is still in San Diego.